Authorities in the Dominican Republic believe two bodies recovered days ago belong to the missing American couple from New York, CNN reports. Orlando Moore and Portia Ravenelle flew to the Caribbean out of Newark Liberty International Airport for a romantic getaway March 23. 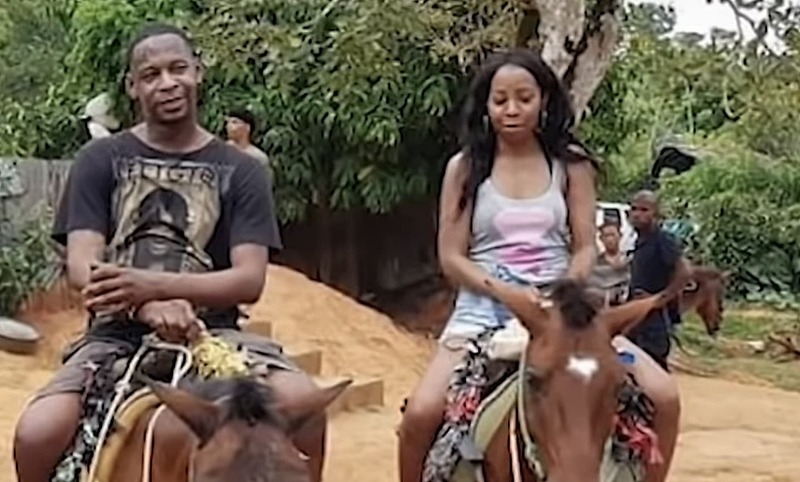 The couple stayed at the Grand Bahia Principe Cayacoa resort at the country’s Samaná peninsula and were expected back to the states on March 27 but never returned. Moore’s sister, Lashay Turner alerted the U.S. Embassy in the Dominican Republic and subsequently filed a police report. Turner previously said it was unlike her brother to “just run off on a hiatus … he’s gonna let someone know where he is,” especially since he has a daughter, she said. Dominican Republic National Police Col. Frank Felix Duran Mejia told CNN that an unconscious woman was found lying on the route that led to the international airport in Santo Domingo. They said the woman fit the description of Ravenelle. The unidentified woman was rushed to the Doctor Dario Contreras Hospital in critical condition. She later died on April 4. The man who they believe to be Orlando Moore was found on March 31, at sea near Sans Souci, Duran Mejia said. The man’s right arm bore a tattoo that read, “Milano.” His body was in the advanced stages of decomposition, CNN said. On March 27, the rental car the couple was driving ended up in the ocean, authorities said. Fishermen reported seeing a vehicle submerged in the ocean but authorities are having trouble recovering it because of rough waters. They believe the couple was en route to the airport.